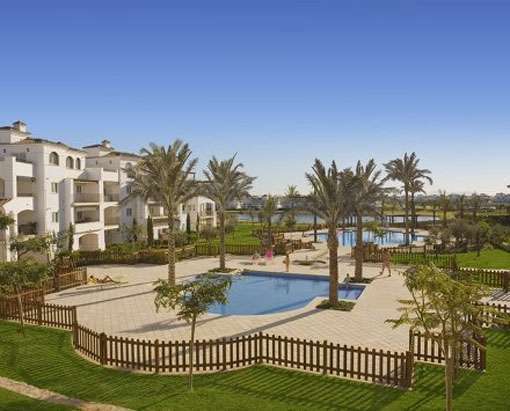 La Torre Golf Resort is a 5* luxury complex made up of apartments, townhouses and villas. 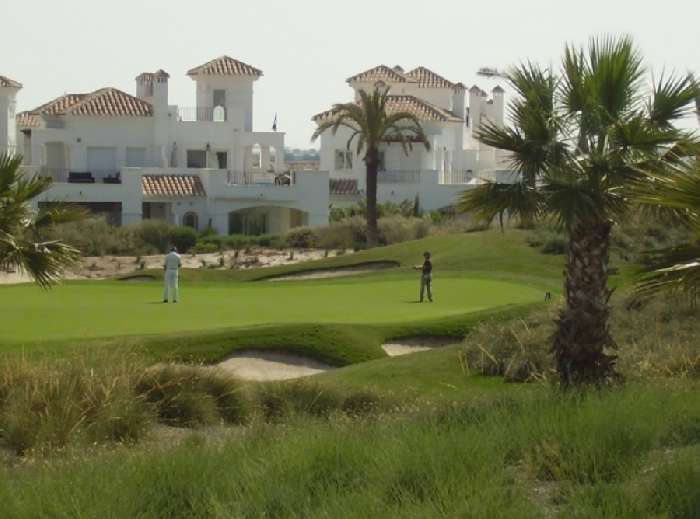 The resort is thoughtfully set up with a town centre, a lake and an 18 hole golf course designed by Jack Nicklaus. 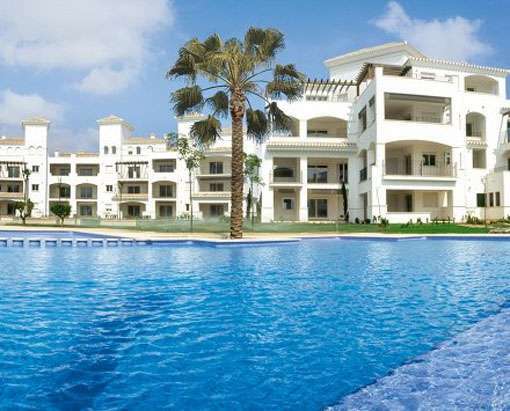 This is a lively resort with lots of activities close to the town of Roldan and a short walk from the best beaches of the Mar Menor. 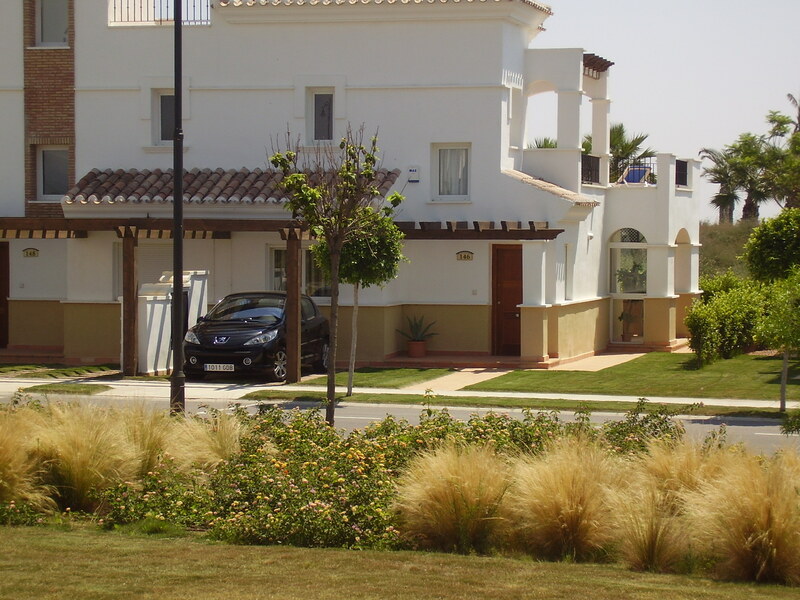 For sale in Roldan is a Palmito style, semi-detached townhouse offering fabulous views over the 12th green and towards the 13th and 14th. It comprises a spacious lounge with dining area, a fully fitted kitchen, 2 bedrooms, an en-suite bathroom and a further family bathroom. 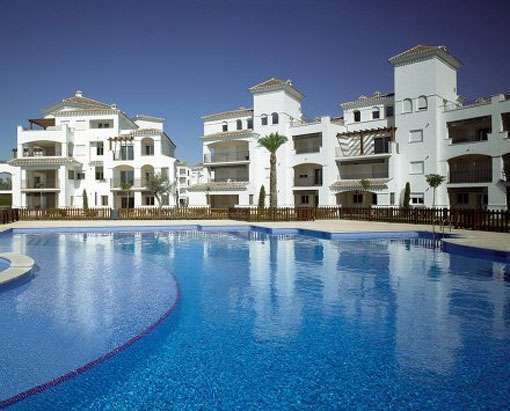 The property is fully furnished and has air conditioning throughout, a shaded and fully glazed sun terrace on the ground floor and a first-floor terrace that gets the sun all day. 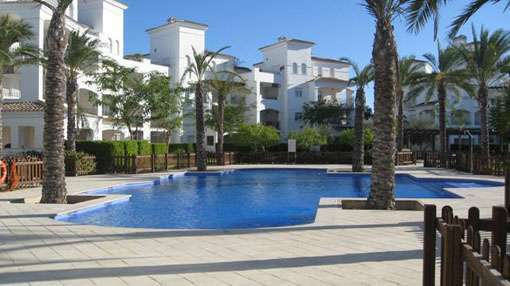 There is private off-road parking and it is only a 2 min walk to the communal swimming pool and tennis courts. The property is in a peaceful location, front line to the golf course while the centre of the resort and shops are a 15 min stroll away. The atmosphere in the town centre is amazing with plenty of activity in the summer evenings on the shores of the lake and at the bars and restaurants. Leisure activities in the hotel are available for everyone and there is a wealth of day and night family entertainment. 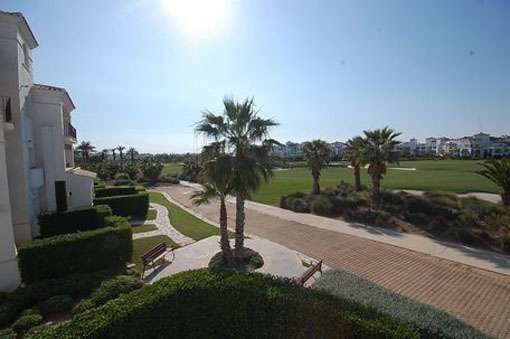 This Palmito style, semi-detached townhouse available to buy in Spain enjoys stunning views of the golf course and the tree-lined boulevards. Great rental potential!! 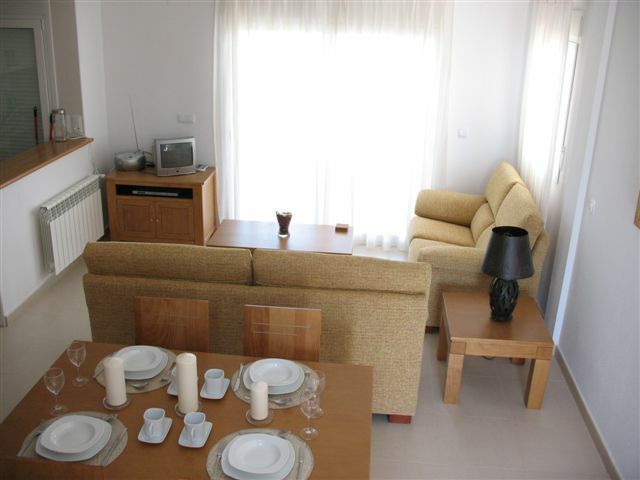 Lounge/dining area: 2 sofas, TV, DVD player, dining table with seating for 6 and air conditioned. The lounge leads out into the conservatory with patio table and 4 chairs. Kitchen: the kitchen is equipped to a high specification with oven, hob, fridge freezer, washing machine and iron. 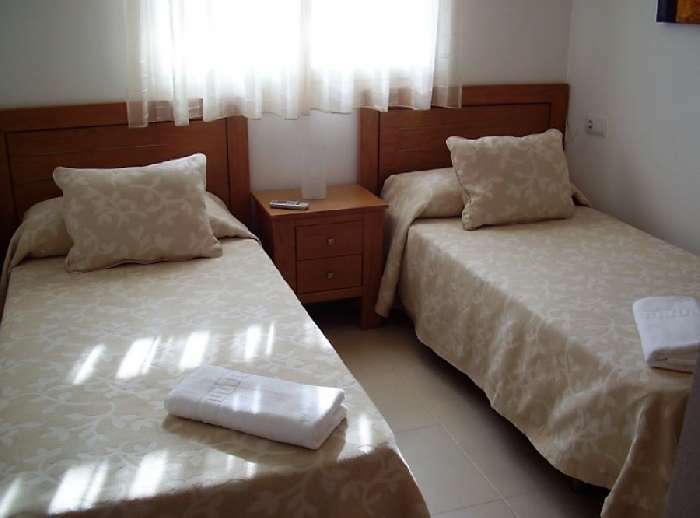 Bedroom 1: twin bedroom, air conditioned, furnished with high-quality beds and mattresses, top quality linen provided and large fitted wardrobe with drawers inside. 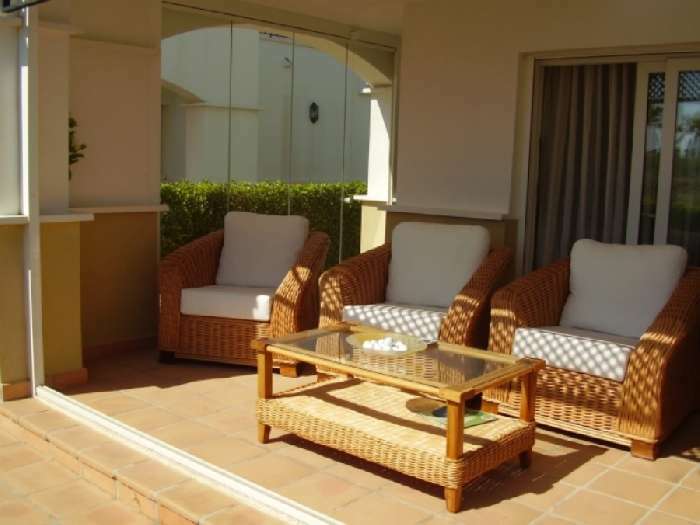 Patio doors lead out to the upstairs sun terrace which is furnished with sunbeds, table and chairs. 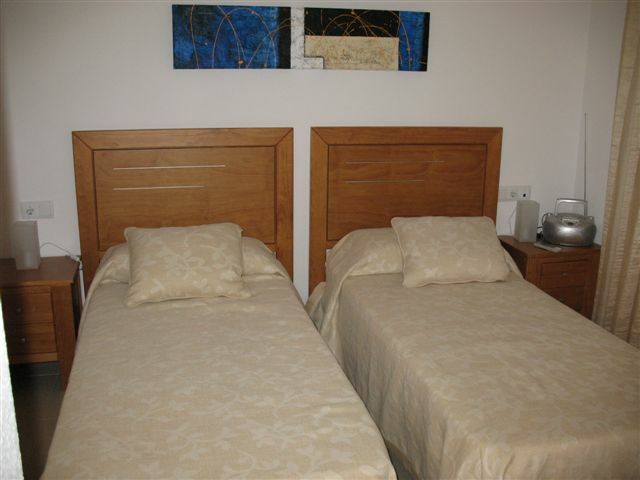 Bedroom 2: twin bedroom, air conditioned, once again furnished with high-quality beds and mattresses, top quality linen provided and large fitted wardrobe with drawers inside. Bathrooms: both a bathrooms are fully tiled offering showers and full sized baths. General: air conditioning, central heating, electric shutters to patio doors, off-road parking and the small rear garden area is fully fenced and looks onto the golf course.